10 Floor, Wui Tat Center, 55 Connaught Road West, Hong Kong. Monte Carlo Yachts is the fastest growing Italian brand in the luxury motor yacht segment and has developed and launched a range of award winning models that have been recognised internationally both for their iconic style and their performance. The MCY collection currently includes the MCY 65, MCY 70, MCY 76, MCY 80, MCY 86, MCY 96 and MCY 105. 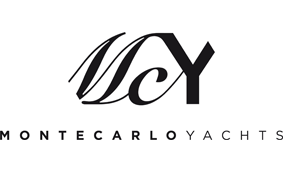 The full MCY collection is designed by the world-famous Nuvolari Lenard design studio, which, together with Monte Carlo Yachts, has studied and introduced design features and materials extensively used previously only on mega yachts. Monte Carlo Yachts is dedicated to crafting timeless luxury yachts known for their stylish and original Italian design, manufacturing excellence and unprecedented levels of customization.